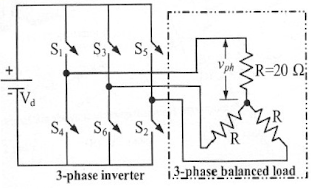 10V Pulse Transformer (PT) is used to trigger the SCR in the adjacent figure. The SCR is rated at 1.5KV, 250A with IL=250mA, IH=150mA, and IGmax= 150mA, IGmin=100mA. 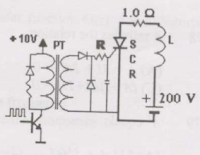 The SCR is connected to an inductive load, where L=150mH in series with a small resistance and the supply voltage is 200V dc. The forward drops of all transistors/ diodes and gate- cathode junction during ON state are 1.0V.